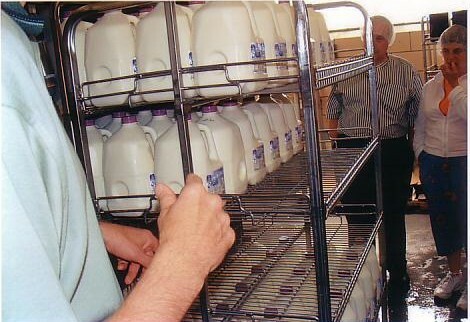 Sponsored by the Divco Club as part of our 2003 Convention, This was a gathering of milkmen and milk trucks on a scale never attempted in this century! ANYONE in the dairy industry, milkmen, former milkmen, (and women) and their families was invited and hundreds of members, guests and visitors came and enjoyed the event!!! 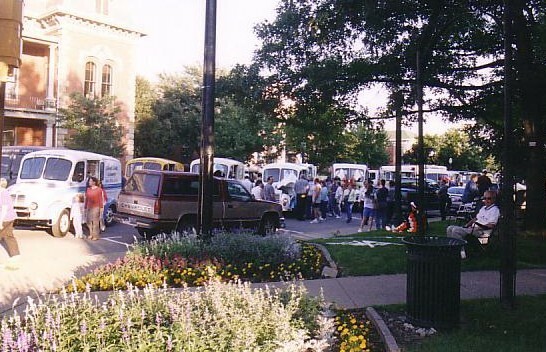 We relived the glory days of Home Delivery, and reminisce at "America's Ice Cream and Dairy Museum," enjoyed tours, special events, a huge milk truck parade, and much more, including an old fashioned Ice Cream Social in the Public Square!!! Watch this space for upcoming postings of photos and comments about the biggest Divco event this century. TOURS: We ran a series of tours to locations all over Northern Ohio, with as many as four tours leaving each day. Thursday's tours included an all day DIVCO HERITAGE TOUR to Detroit to visit sites where Divco Trucks were once made. 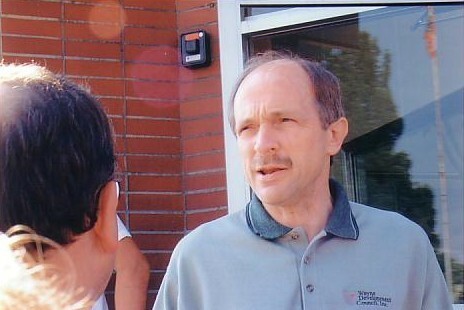 The tour was conducted by Dr. Robert Ebert, who co-authored the Divco History book, and Dr. Larry Guinn, a noted auto historian. Another group made a visit to the DAIRYMEN'S MILK PROCESSING PLANT in Cleveland Ohio. Many who took the dairy tour opted to enjoy lunch at Cleveland's TOWER CITY MALL before an afternoon visit to the ROCK AND ROLL HALL OF FAME. Others opted to take a CLEVELAND SIGHTSEEING AND SHOPPING TOUR. DIVCO TRUCK PARADE from Elm Farm to the Medina Public Square, where, after twice around the park, the trucks were displayed in front of the ornate County Court House prior to the Friday Night Ice Cream Social and Band Concert. Thousands of local residents got a chance to view the trucks, both in motion, and on display, in a perfect evening, punctuated by great music, good food, and even the twinkle of lightning bugs across the parkland. Bison Roast which was served buffet style, with seating in colorful tents erected behind the dairy property. After the meal, we enjoyed a "premier" of an old Divco Factory Film from the 1950’s, discovered by a collector, who made copies available for sale. SUNDAY, following a sumptuous Closing Bruncheon at the Galaxy Restaurant in Wadsworth, OH, awards were presented for the truck show, and a special award was given to Carl & Sherry Abell, who hosted the convention/reunion. The awards were donated by Blue Sky Glass Studio, which custom designed the glass plaques using our convention logo. We also handed out metal dash plaques for participating trucks, and souvenir 1/2 pint milk bottles, with the Elm Farm and Convention/Reunion logos. The bottles were donated to the Divco Club by North America's foremost glass bottle manufacturer, Stanpac, of Ontario, Canada. THE COMMUNITY: The host city for the Midwest Milkmen's Reunion and Divco Club Convention was Medina, Ohio, a Victorian Era community in Ohio's Western Reserve region. Located 30 miles S. of Cleveland and 18 miles W. of Akron near the intersections of I-71 and I-76, the community boasts century old homes and a quaint business district surrounding a picturesque Public Square, right out of "The Music Man." 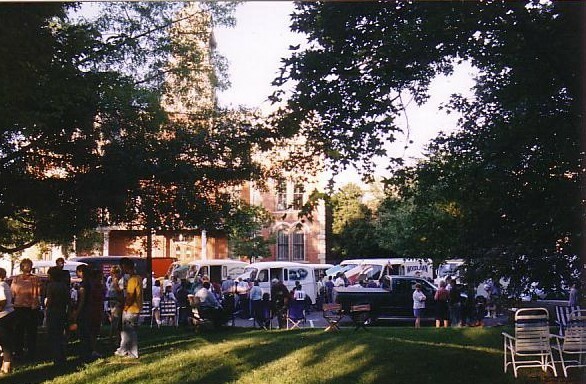 In fact, the Gazebo in the park still hosts Community Band Concerts every summer, complete with traditional Ice Cream Socials and community gatherings, And during our event, there was even a milk truck parade and display in front of the County Court House! The historic air of the community might have fooled you. 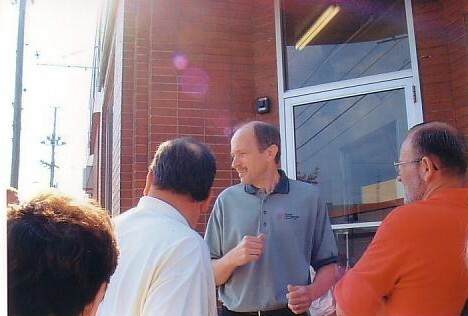 Medina is also home to a number of major industries. There are manufacturing, chemical processioning, financial and communications businesses galore. But the name most people associate with the town is A. I. Root Co., the largest bee industry supplier in the world, and the firm that gives the town its nickname, "The Sweetest Town on Earth." Medina is also home of our sponsoring venue, America's Ice Cream and Dairy Museum at Elm Farm. 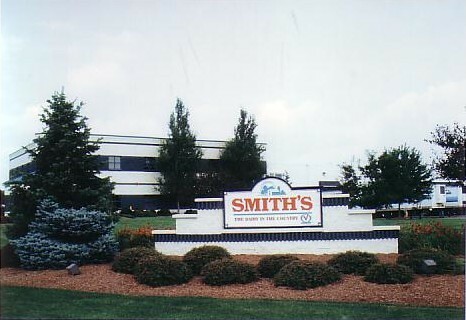 One of the finest dairy industry museums in the world, it is located in the plant of an actual dairy which served customers across Northern Ohio until 1979. While at the museum, reunion participated in truck shows, a historic marker dedication, a big Bison Roast, and ate gallons and gallons of home-made ice cream!